We here at Dads Drinking Bourbon always are happy to give the floor to others that are knowledgeable about bourbon as well. We’re always happy to check in with our friend Dirk from @indianabourbon and see what’s going on in his fine state. Thank you Dirk and we’re looking forward to seeing what else is put out in Indiana. There’s a lot going on there! Distillery: WEST FORK WHISKEY CO.
We @INDIANABOURBON would once again like to thank @subourbon_dad for the invite to speak a little bit about the Indiana Bourbon scene! I’d like to feature another great distillery making great spirits and incredible bourbon @westforkwhiskey in Indianapolis, IN. Another bonus to a review like this is I poured a little to get some notes for you all and we’re already on to glass number two! I don’t know the exact age of The Colonel but as with any newer Distillery they start out younger but you can really taste the craftsmanship and care this small batch, locally sourced, grain to glass bourbon has inside it! 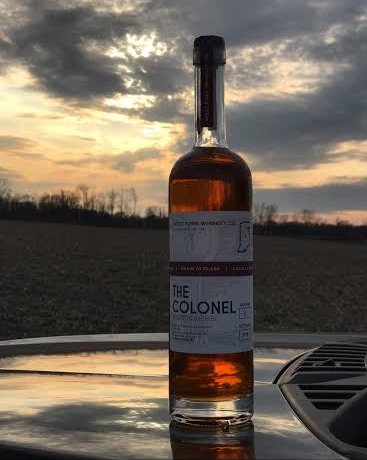 In addition to The Colonel, West Fork Whiskey offers 2 Hour Delay, a hand-made, grain to glass un-aged whiskey made from 100% Indiana corn and Double Down, West Fork’s second product, is a 100% Indiana corn whiskey aged in used bourbon barrels. In the Indiana area you can find @westforkwhiskey products at Big Red Liquors, Crown Liquors, Elite Beverages, Greenfield Liquors, Classic Spirits Liquors, and Apple’s Treetop Liquors! The Colonel – BUY IT! 2 Hour Delay – SIP IT! Double Down – SIP IT! Looking forward to the future of this great group of craftsmen and will be in line for every future release as their bourbon ages!